HAVE A LARGE SPACE THAT YOU WISH TO TRANSFORM? Artsyballoon got it covered. Having done numerous shopping malls in Singapore and large venues, we’re confident to create any theme or take on any scale. 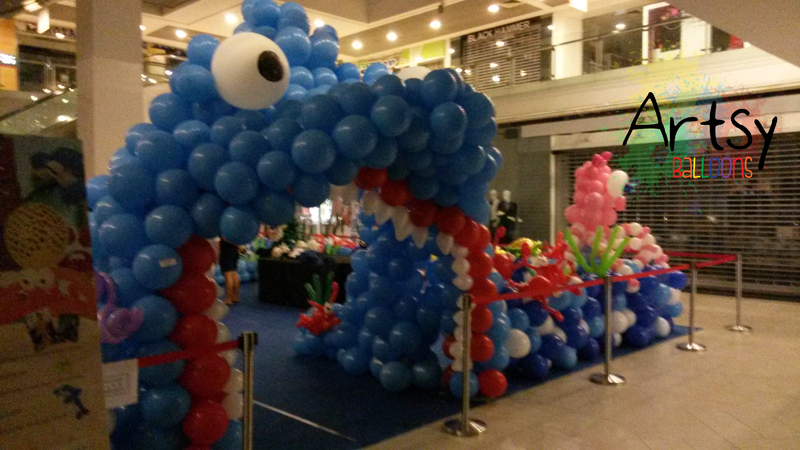 Transform the way you see your events with our balloon decorations for shopping malls and large-scale events. We’re able to create massive scale balloon displays with balloon borders to surprise your shoppers and guest. 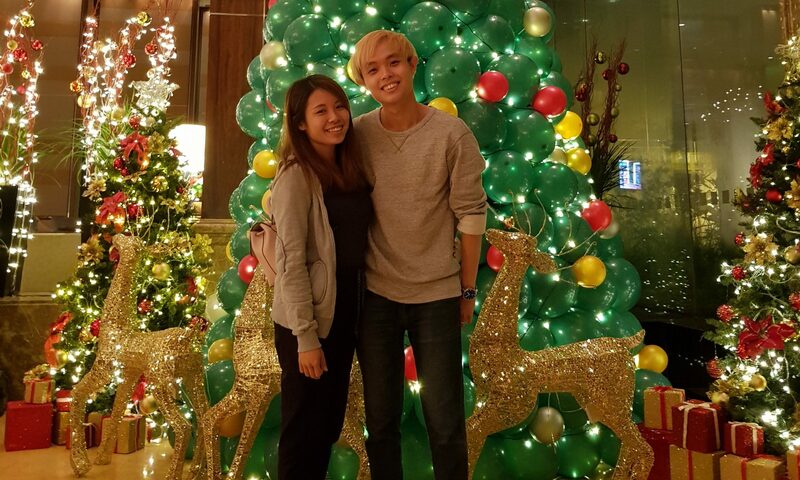 Attracting them to the malls purely with our fantastic balloon decorations! Customized balloon entrance arch to welcome your shoppers into the balloon exhibition is a truly new experience for anyone! With endless themes that we can create with our team, no children or families can’t be cheered or surprised! Creating stunning and amazing photo displays are also a part of what we excel at, as we also wish to give shoppers a positive feeling, astounding them with beautifully crafted balloon photo pieces are definitely a must! There are many other malls that we’ve done before, but we can’t share the pictures here as we’ve signed a NDA (non-disclosure agreement) with the event planners and mall managers. But here’s a rough layout and information on having a mall event large-scale decoration display. A rough duration we need will be around 4 – 5 days of set up time, and we will work during daytime and rarely at night time. The reason why we do it in the daytime is that it will raise awareness. On average there are 10 – 20 shoppers that will ask “when will the exhibition start?” per day, and most of them will promise their child to bring them to the balloon exhibition once it’s open to the public. Space usually can be any scale, usually provided by the mall. And we will propose the number of details and such when we know the size of the space is given to us. We have done before the smallest is around 4m x 6m, and the largest we did before was 12m x 14m. Small themed pieces tied around the venue|Here are some pictures below! That’s all! 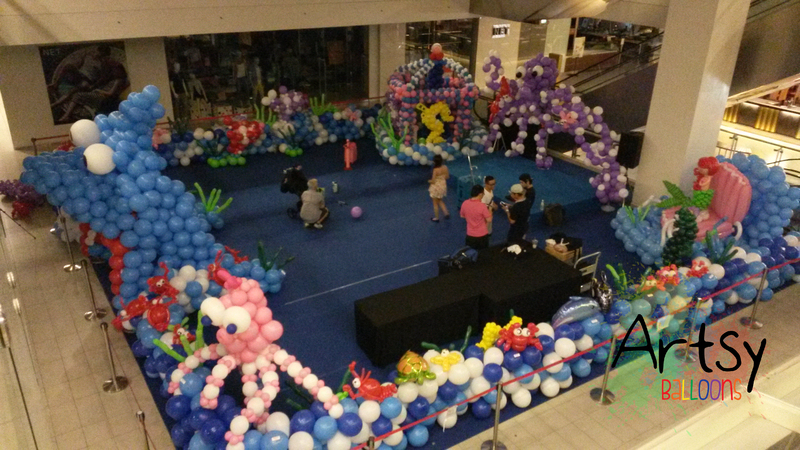 If you’re doing a mall project decorations or need to do up a balloon exhibition, I’m the man for you! See you at your next event! Aerial shot from the top!